EN I think I have a big crush for casual outfits. I mean...sneakers almost all the time. I try to combine them with oversized coats, boyfriend jeans, lovely shirts. You know, I'm trying to stay comfy and chic. These white superstars are my new love and I think I will wear them like forever ( kidding, after one year I will probably donate them to my girlfriends . I always find something new to love). Have a great weekend and a fabulous Halloween party! RO Toamna aceasta sunt foarte practica. 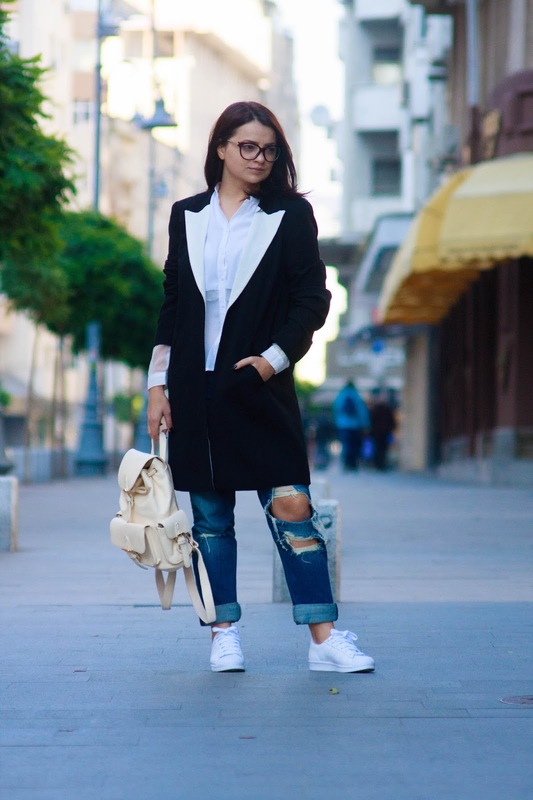 Port jeansi foare des, sneakersi aproape tot timpul si ghiozdanele sau genti oversized. Dar stiti voi, articolele basic combinate si accesorizate corespunzator reprezinta baza unui outfit chic. Tinuta de astazi respecta schema mentionata mai sus. 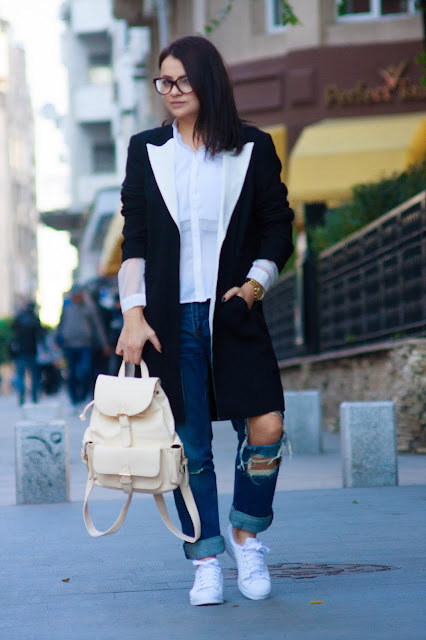 Am luat una bucata boyfriend jeans, o camasa vaporoasa, o pereche de superstaruri all white, un palton oversized si un ghiozdanel in care sa imi pot pune eu toate nebuniile :). And I'm dooone! Va urez petrecere frumoasa de Halloween si un weekend cat mai frumos!